Star trails over the Australian Outback | Shelby White - The blog of artist, visual designer and entrepreneur Shelby White. 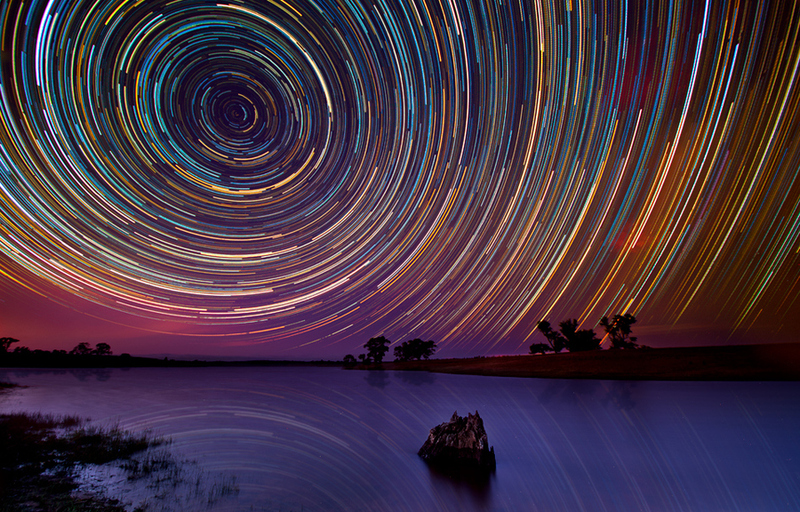 Australian photographer Lincoln Harrison shot these awesome star trail photos over the Australian Outback. The photos are HDR composites to properly expose the foregrounds. 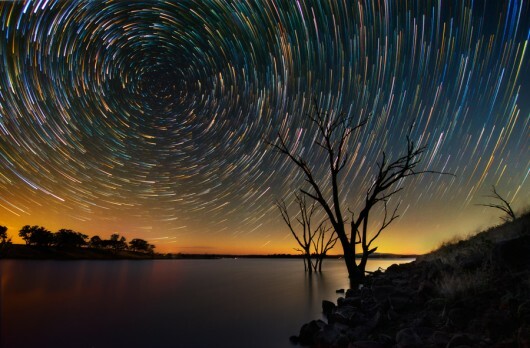 The star trails appear circular because as our planet rotates around its axis every 24 hours, the visible stars in the sky rotate around the polar axis. 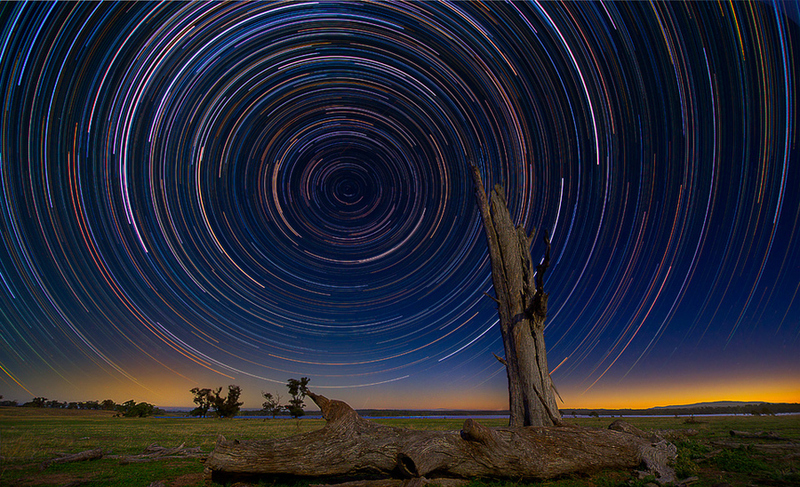 Read more about how to shoot star trail photos. 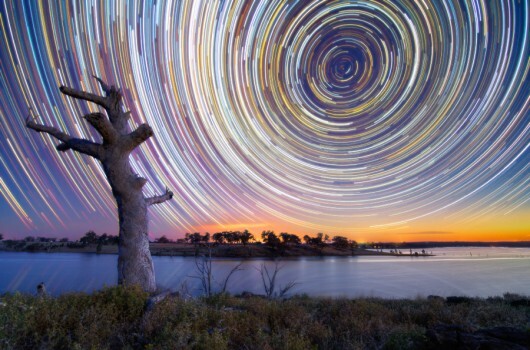 Stunning photographs. Can you explain what they depict ? 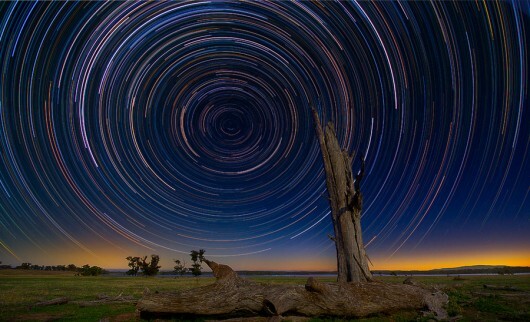 Why do the stars appear in a circular path? Hey Steve, I’ve updated the post with a link about shooting star photos. To answer your question of why the stars are in a circular path, it’s because of the rotation of earth around its polar axis. 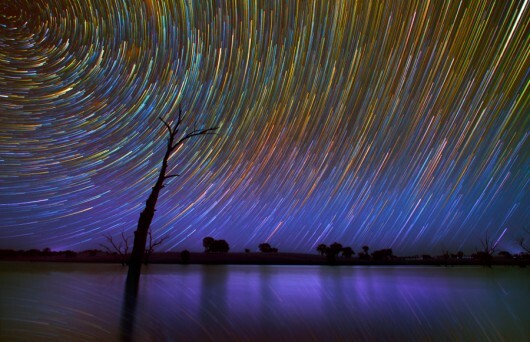 The stars directly North and South of the axis will appear stationary. 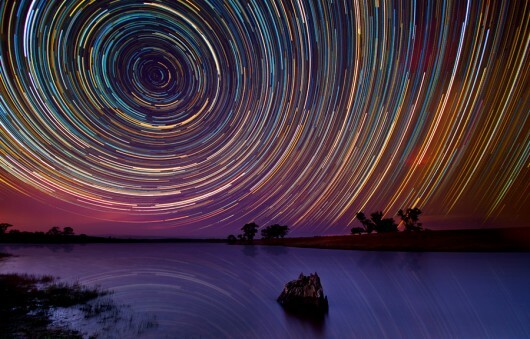 However, it’s really not the stars that are moving, it’s just Earth rotating. @Sue, HDR stands for High Dynamic Range, which is essentially the dynamic range between the lightest and darkest areas of an image. I found the outback photo on google and I would really like to make it the cover art for my new music album. Is this permissible?